One of the first things to spring to mind after the mention of the holy month is either iftar deals or night tape-ball cricket matches. The connection between Ramazan and night-cricket in Pakistan is eternal. With film promotions becoming an even trickier proposition during the religious month, the makers of Wrong No toyed around the connection between cricket and cinema as they organised a series of tape-ball matches between Wrong No XI and All Stars XI at the Katchi Memon Ground in Karachi. Fortunately though, Wrong No XI came out as victors and gathered some much-needed momentum heading into their box office encounter with another Pakistani film. Musican Farhan Saeed had to endure a patient wait on the benches at the boundary for his turn to bat. Not given an opportunity to bat in the first match, the singer was sent to open the batting alongside esteemed actor Adnan Siddiqui. Unfortunately for Farhan, his stint at the crease was short-lived. After surviving a dropped catch on the first ball, he was beaten all ends up and bowled with Danish Taimoor, the hero of the movie taking his wicket. 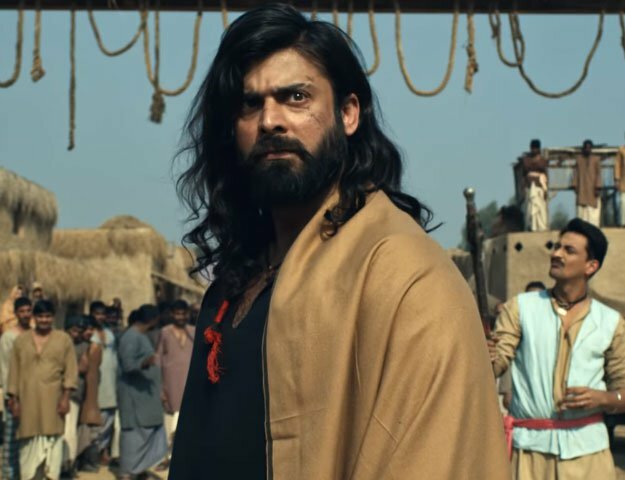 Actor Noman Habib who is mostly celebrated for playing the role of Shahid Bhatti, a diehard Shahid Afridi fan, in the cricket-themed movieMain Hoon Shahid Afridi, seems to have not come out of his character. Batting in customary Shahid Afridi fashion, Noman scored runs all around the ground even busting aerial moves on more than one occasion. He even made a few fans in the process, with Danish Taimoor singling out his batting. “Noman was probably the most difficult batsman to bowl to. He played brilliantly and scored runs all around the ground,” Taimoor told The Express Tribune. Having been around the entertainment industry for close to two decades, it would have been safe to assume that age may have started to catch up with the actor. Surprisingly, that is not the case. Batting like a kid in his teens, Adnan Siddiqui seemed to have a rush of blood to the head as he attempted to dispatch every ball that hurled itself towards him. Although the actor chose to run very little between the wickets, he made up for lost runs with his power-hitting. The Mighty Heart actor took a liking to Danish Taimoor’s bowling, striking three consecutive boundaries, one of which was a mammoth six. Despite the presence of some of the biggest names of the Pakistani entertainment industry, it was the arrival of Danish Nawaz which caught the attention of several audience members — all of them children, who surrounded him as if he was a Hollywood celebrity gracing the grounds of Pakistan. Even though the actor did not take to the field to play cricket, he did oblige to selfies while also indulging in the customary Shahid Afridi ‘starman’ celebration pose for photographers. After the loss of two early wickets, All Stars XI were in all sorts of trouble. But the crunch match situation seemed to have brought the best out of Amjad Sabri, who strode out to bat with the ‘swagger’ and demeanour of Viv Richards. The natural game plan would have been to consolidate but nobody gave Amjad Sabri that memo as the qawwal-singer took apart the opposition bowlers with a few lusty blows. And it took a magnificent boundary catch to dismiss the singer. Surely, his stay at the wicket was longer than that. Wrong No. Is set to hit the screens on Eidul Fitr.